Throughout the entirety of the 1980s, it was impossible not to hear or see Phil Collins somewhere in popular culture. Taking a little time away from Genesis to pursue a solo career, he enjoyed multi-platinum success with albums like Face Value and …But Seriously, winning seven Grammys along the way, including Album of the Year for 1985’s No Jacket Required. In between, Collins continued to record with his old band, their 1986 album Invisible Touch placing five songs in the Billboard Top 10, and he even starred in the 1988 comedy Buster, for which he provided two No. 1 songs. Maybe, but sometimes it’s more interesting to assess a songwriter by the tracks that never made it to the radio, digging into a musician’s forgotten digressions to discover the forgotten gems and intriguing curiosities. And so, in a year in which Collins is reissuing his catalog and releasing a memoir, here’s a salute to the man’s 10 best non-hits. Face Value came about during a bittersweet moment in Collins’ life: His first marriage was ending and he was falling for the woman who would become his second wife. “This Must Be Love” celebrates the latter, placing the singer’s cautious optimism atop a bed of muted, romantic synthesizers and warm, understated percussion. Waiting for his beloved to call, Collins proclaims, “Happiness is something I never thought I’d feel again/But now I know/It’s you that I’ve been looking for.” Sure, that second marriage didn’t last, either, but “This Must Be Love” encapsulates the anxious, giddy anticipation of being near the woman you can’t get out of your head. This B-side to the horn-heavy hit “I Missed Again” — a song about romantic disillusionment — was a breezy counterpoint, full of lighthearted love and devotion. Dabbling with vocoder and a little English soul, Collins implores his girlfriend to be honest with him and not be afraid to be herself. “I’m Not Moving” only clocks in at about two-and-a-half minutes, but it’s a buoyant, super-catchy little ditty, its unexpectedly quick fade-out prompting lots of listeners to go back and play the track again immediately. Giving Hello, I Must Be Going! a nice touch of loon, this angular New Wave-ish rocker features Phil singing in an affected sneer as a Cockney lad in the throes of first love — and obsessed with deflowering his girlfriend. The title comes from the protagonist’s pledge to his beloved that he’ll be so careful that he’ll “hold you like china… ’cause I know it’s your first time.” The relentless groove and saucy lyric delivered by a berserk narrator adds up to one of Phil’s most darkly humorous solo moments, and gives us a taste of his acting chops. Though sung from the point of view of a man who is struggling to accept that a relationship is truly over, this is a joyous, celebratory track that might have been a big single had it not been the sixth (!) single released from his second solo LP. Most of the joy comes from Phil’s trademark grooves, terrific compositional twists, and the beautiful stabs of the legendary Phenix horns (also known as the Earth, Wind & Fire horns), who Collins first hired for Face Value. Starting with a gorgeous orchestral intro that sets the melancholy mood, “We Said Hello Goodbye” is a song about the odd feeling that occurs when one door closes and another opens. Over stately keyboards, Collins describes a situation in which two people “say goodbye to a dear old friend” and then head out for “a new roof over our heads.” “We Said Hello Goodbye” doesn’t get into the details, leaving the song feeling like a universal lament for trying to make the best of a difficult situation. This track itself was a bit of an orphan: Initially a B-side, it was added to No Jacket Required as its closing track for the CD version. 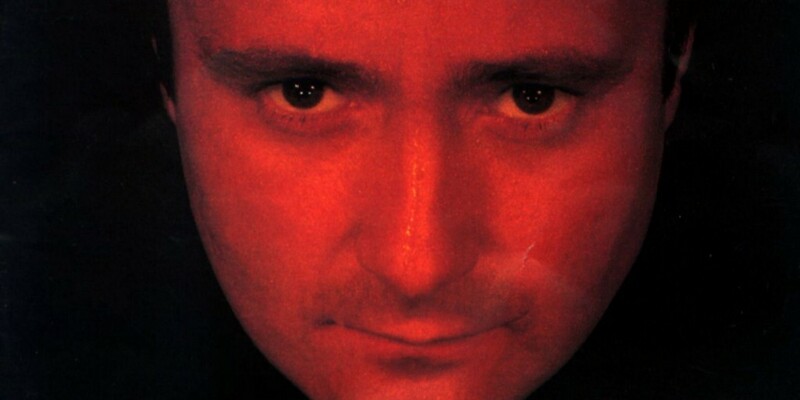 For his 1989 album …But Seriously, Collins turned his attention to politically- and socially-conscious lyrics, but he revealed that side of his personality earlier on this No Jacket Required track. Collins juxtaposes his minor problems with life’s real troubles, which range from murder to poverty to the random heart attack that claims a loved one. “Long Long Way to Go” features muted keyboards and drums, practically sounding like a dark night of the soul as the narrator realizes how disturbingly easy it is to tune out the tragedies and injustice plaguing the world: “Turn it off if you want to/Switch it off/It will go away.” Collins’ pal Sting provides backup vocals that give the tune an extra anguish. Kicking off with thundering drums and an ominous synth riff, this track nimbly switches between high-tension drama and reflective coolness with corresponding lyrical depictions of romantic dissolution. In a bit of a switcheroo for Phil, this time he’s not part of the relationship in turmoil. Instead, he’s more of a concerned observer and friend to various couples who are having trouble making it work. “Doesn’t Anybody Stay Together Anymore” is a great showcase for Phil’s flair for the dramatic, as well as his mastery of compositional (and instrumental) dynamics. “Who Said I Would” is kind of like a hopped-up older cousin to the big No Jacket Required hit “Sussudio”: relentless drums, hypnotic synth bass and an infectious central riff under simple but clever lyrics about an enchanting lady and a semi-complicated relationship. One can imagine this causing a commotion on any hot 1985 dance floor, and it still works at a party. Ever since his days in Genesis, Collins has had a penchant for portentous/ominous musical buildups. (And he’s displayed that talent in his solo career as well — just think of “In the Air Tonight.”) For the final track on …But Seriously, Collins pulls out all the stops: Starting with keyboards that sound like they’ve been beamed in by extraterrestrials, the song then segues into stark, pounding drums before making room for shades of salsa, a horn section and what might be a flute. “Find a Way to My Heart” may be a conventional romantic ode, but its musical textures are consistently colorful and lively. With 1993’s Both Sides, Collins went back to the approach that worked so well on Face Value, recording most of the album at home on very basic equipment. In addition to engineering and producing, Phil plays or sings every single note on the record, making it possibly his most “solo” solo effort. “We Fly So Close” features the classic minimal Collins sound under mournful lyrics about the dangers possibly lurking around each corner of life and love. The most hopeful passage: “Every place you run to/Everywhere you turn/There are places that you know you should not go/But some bridges just won’t burn.” Another example of Phil’s rare ability to make a seven-minute gloomfest feel positively anthemic. Tim Grierson covers culture for MEL. Craig MacNeil is MEL Radio’s Executive Producer.